A long-time Canadian HVAC/R industry trainer, guru and advocate has been honoured by two U.S. organizations for his dedication to education in the industry. Brian Baker was a Winnipeg contractor who was active in several organizations including the Heating, Refrigeration and Air Conditioning Institute of Canada (HRAI) and the Refrigeration Service Engineers Society (RSES). He also ran his own trade school in Winnipeg, prior to succumbing to cancer in January 2017. The Council of Refrigeration and Air Conditioning Educators (CARE) and HVAC Excellence – both dedicated to quality HVAC/R training – have announced the D. Brian Baker Memorial Scholarship in his remembrance. Baker, who operated Custom Vac in Winnipeg, was a dedicated HVAC/R professional and educator who was not only passionate about the industry but a true advocate for continual, professional development. Baker attended every conference and educational opportunity he could, knowing that working and teaching in the HVAC/R industry wasn’t just a job, but a career that required continuing education said Kevin Couch, president of CARE. The D. Brian Baker Memorial Scholarship will provide an HVAC/R instructor with up to five years of classroom experience along with the opportunity to attend the 2019 HVAC Excellence National HVAC/R Educators and Trainers Conference, March 3-5, 2019, in Las Vegas. It will cover the cost of registration, transportation, and lodging for the nights of the conference. Additionally, the scholarship recipient will receive a one-year membership in CARE. 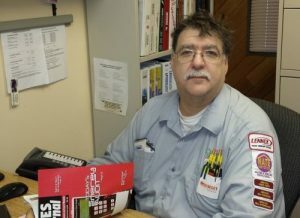 To find out more or to apply for the D. Brian Baker Memorial Scholarship Award, visit www.escogroup.org/CARE.